Hiya peeps, its Mr. Coconut here, hamiezah's on a break and she won’t be posting for a couple of weeks but no fear, coz Mr. Coconut is here and I'll be doing the noble duty while she's gone. So, hamiezah mentioned to me the other day; something about Laura Veirs and her song ‘Pink Light’ and I thought it’d be perfect for this week’s edition of Good Golly. I first heard Laura Veirs‚ ‘Pink Light’ on the radio, but it was one of those songs that didn’t really stick to memory. But, when I heard it for the second time, it was definitely one of the best songs that I’ve ever listened to. Every song deserves a second chance; so, if it doesn’t tickle your fancy the first time, maybe it will by the 10th listen. You never know until you try. Laura Veirs is an American singer-songwriter who claims that she never listened to music seriously until she reached her twenties. During her college years, she studied geology and Mandarin where soon after, would find herself in China for a geology expedition, as a translator. Due to the depression she felt while she was there, she would turn to song-writing as a way of coping. Because there’s so many solo female singer-songwriters nowadays, each one of them must be able to distinguish their songwriting style from the myriad of female artists in order to float above the rest. 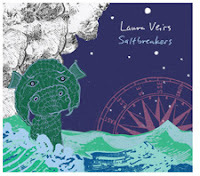 Laura Veirs certainly stands out and has her own unique style that people wouldn’t start comparing with Regina Spektor or Feist or whoever. The song ‘Pink Lights is available on her sixth record, Saltbreakers which was released worldwide on Nonesuch Records in April 2007.